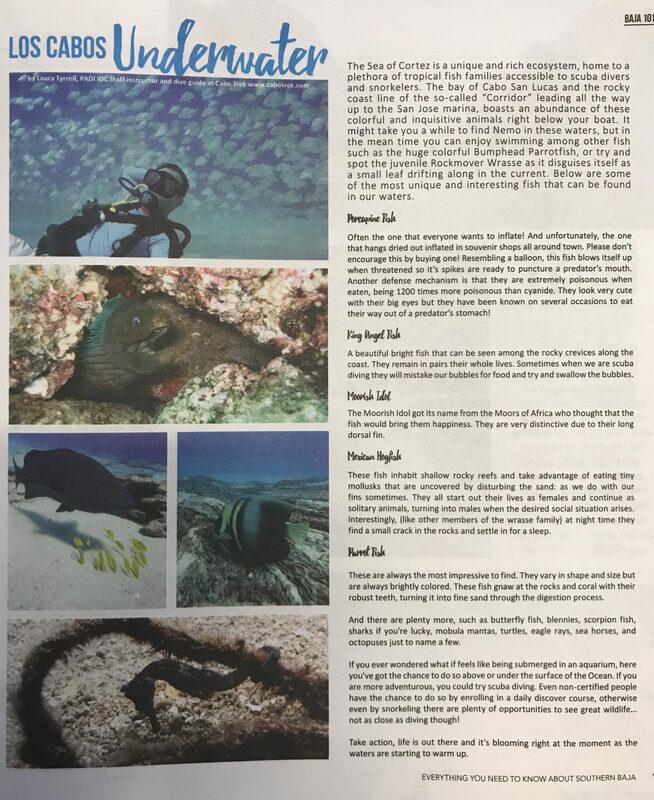 article by Laura Tyrrell, PADI IDC staff instructor at Cabo Trek. 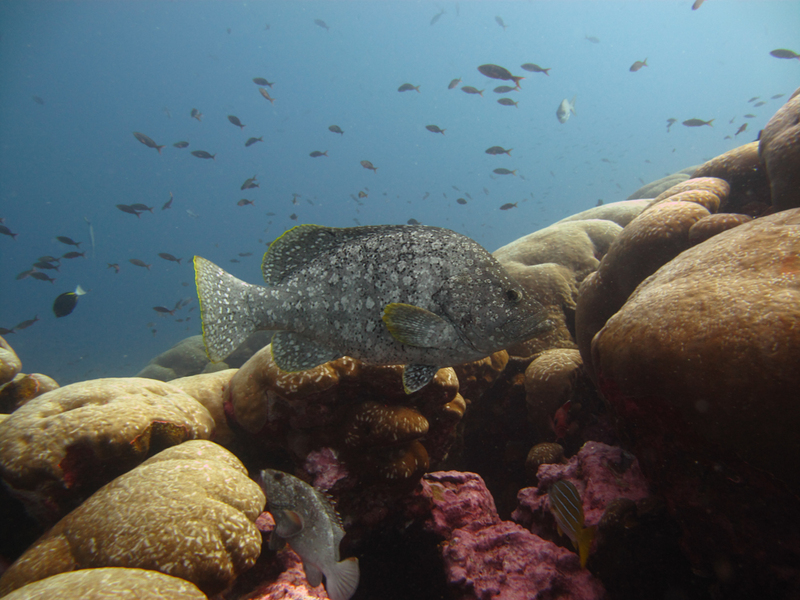 The sea of Cortez is a unique and rich ecosystem, home to a plethora of tropical fish families accessile to scuba divers and snorkelers. The bay of Cabo San Lucas and the rocky coast line of the so-called “Corridor” leading all the way up to the San Jose Marina, boasts an abundance of these colorful and inquisitive animals right below your boat. It might take you a while to find Nemo in these waters, but in the mean time you can enjoy swimming among other fish such as the huge colorful Bumphead Parrotfish, or try and spot the juvenile Rockmover Wrasse as it disguises itself as a small leaf drifting along in the current. Below are some of the most unique and interesting fish that can be found in our waters. 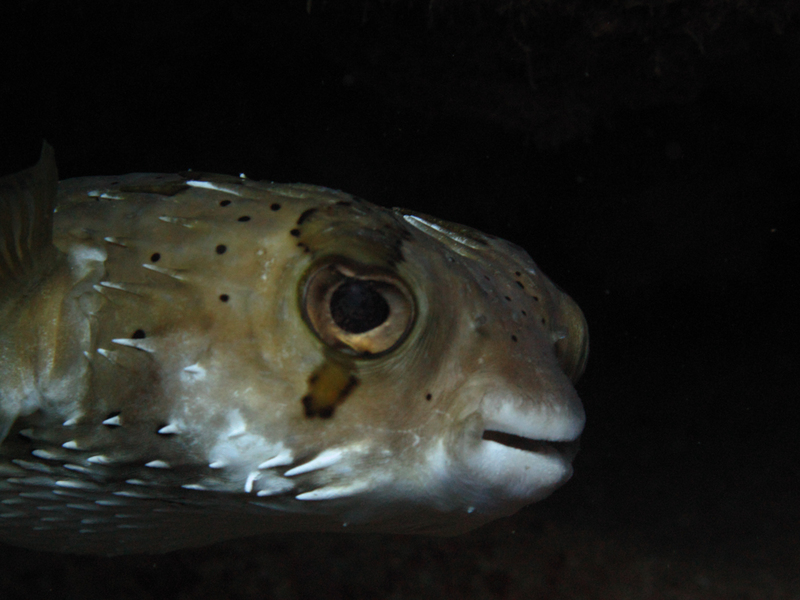 Porcupine fish: Often the one that everyone wants to inflate! And unfortunately, the one that hangs dried out inflated in souvenir shops all around town. Please don’t encourage this by buying one! Resembling a balloon, this fish blows itself up when threatened so it’s spikes are ready to puncture a predator’s mouth. 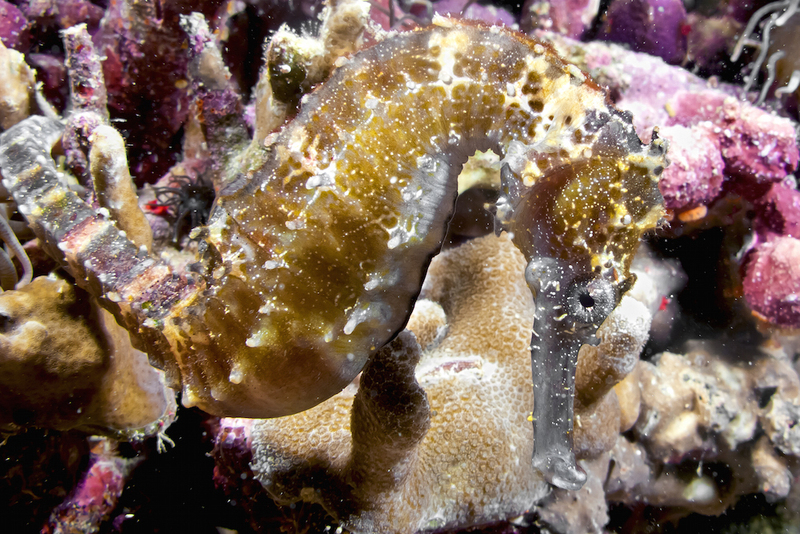 Another defense mechanism is that they are extremely poisonous when eating, being 1200 times more poisonous than cyanide. They look very cute with their big eyes but they have been known on several occasions to eat their way out of a predator’s stomach! 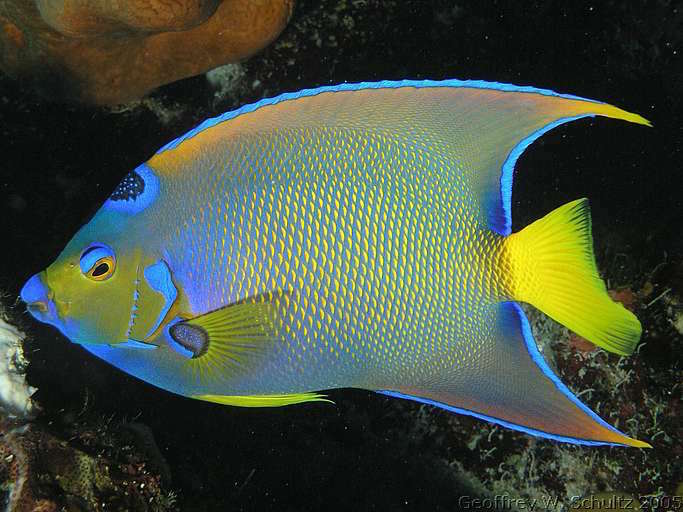 King Angel fish: A beautiful bright fish that can be seen among the rocky crevices along the coast. They remain in pairs their whole lives. Sometimes when we are scuba diving they will mistake our bubbles for food and try to swallow the bubbles. 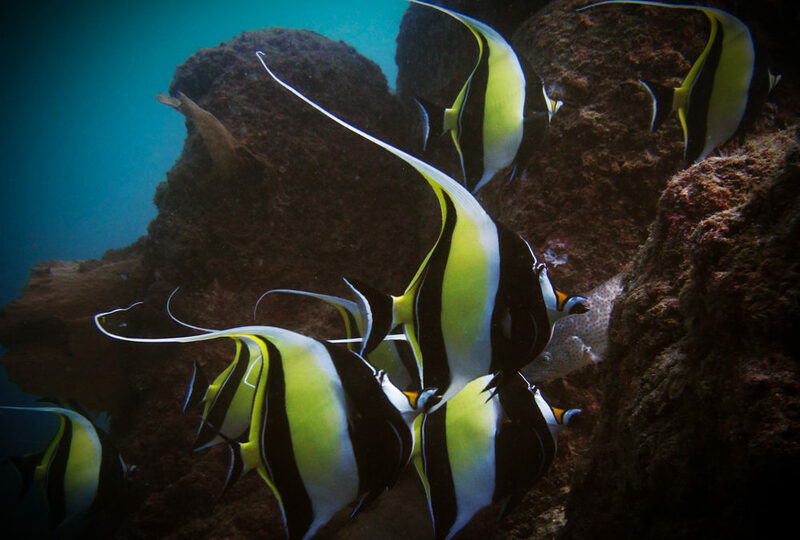 Moorish Idol: The Moorish Idol got its name from the Moors of Africa who thought that the fish would bring them happiness. They are very distinctive due to their long dorsal fin. Mexican Hogfish: these fish inhabit shallow rocky reefs and take advantage of eating tiny mollusks that are uncovered by disturbing the sand: as we do with our fins sometimes. They all start out their lives as females and continue as solitary animals, turning into males when the desired social situation arises. Interestingly, (like other members of the wrasse family) at night time they find a small crack in the rocks and settle in for a sleep. Parrot fish: These are always the most impressive to find. they vary in shape and size but are always brightly colored. 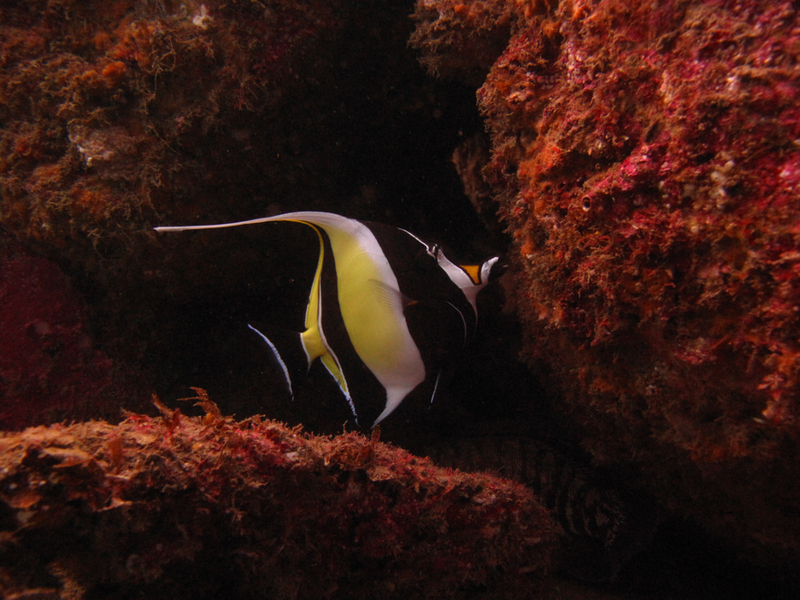 These fish gnaw at the rocks and coral with their robust teeth, turning it into sand through the digestion process. And there are plenty more, such as butterfly fish, blennies, scorpion fish, sharks if you’re lucky, mobula mantas, turtles, eagle rays, sea horses, and octupuses just to name a few. If you ever wondered what it feels like being submerged in an aquarium, here we’ve got the chance to do so above or under the surface of the Ocean. If you are more adventurous, you could try scuba diving. Even non-certified people have the chance to do so be enrolling in a daily discovery course, otherwise even by snorkeling there are plenty of opportunities to see great wildlife…not as close as diving though! Take action, life is out there and it’s blooming right at the moment as the waters are starting to warm up.